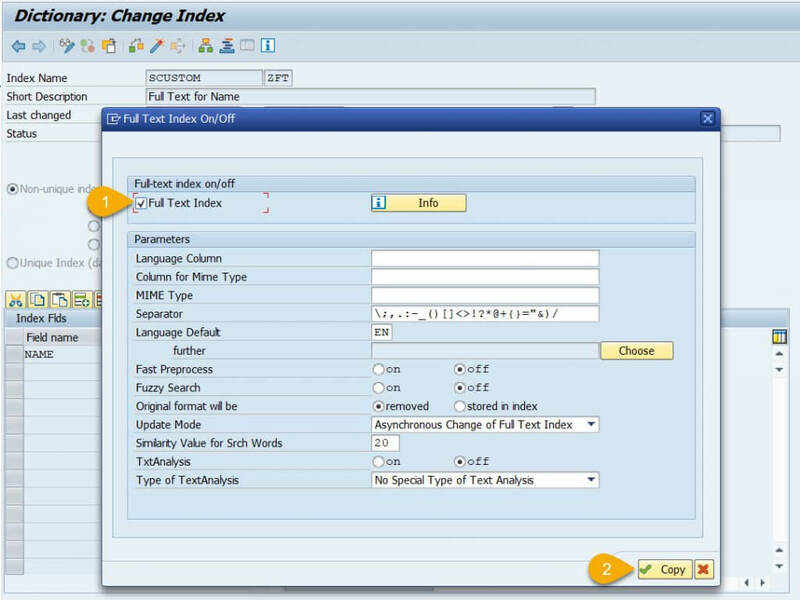 Dear SAPLearners, in this blog post we will learn on how to create Full-Text Index in ABAP for SAP HANA database. 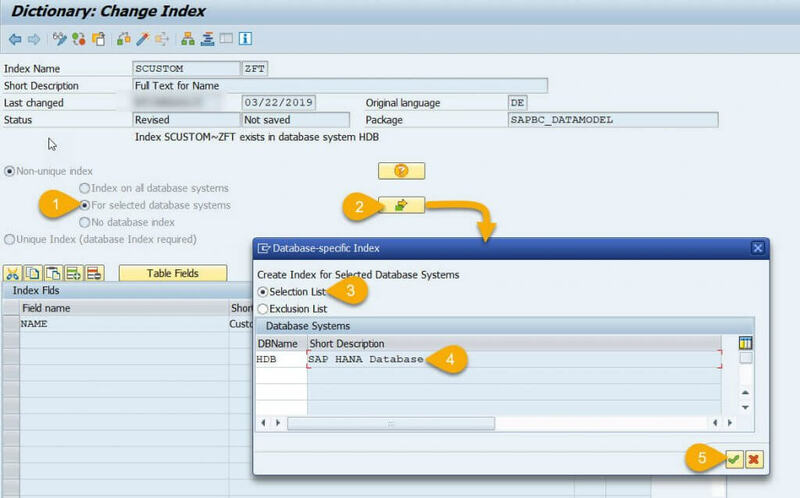 The SAP HANA database supports a full text index as a secondary table index. A full text index creates as an additional invisible column on the database. As a result, the content of the column for a full text index will be saved to this additional column with appropriate formatting and is evaluated when the relevant data is accessed. 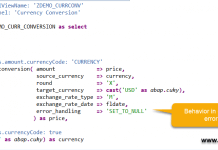 Also Read: 4 New Features in ABAP Dictionary for HANA databases. A full text index can only be created for precisely one column in a database table whose predefined data type is CHAR, SHORTSTRING, STRING, or RAWSTRING. A full text index is always non-unique. Now lets see the steps to create Full-Text Index in ABAP. In this demo example i am creating Full-Text Index for a particular column “NAME” in the database table “SCUSTOM”. 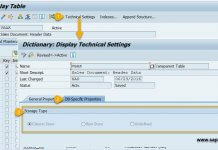 1.Navigate to SE11 transaction and choose the table “SCUSTOM”. Click on Indexes to display the available indices for the table. 2. 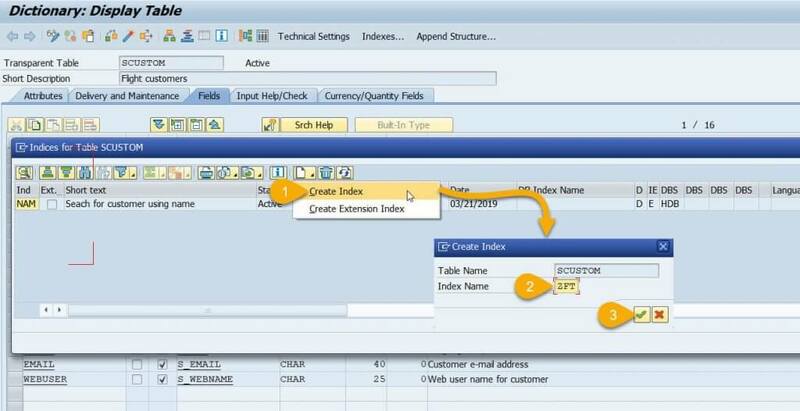 In Indices for Table SCUTOM dialog window, Click on create button and choose Create Index from the context menu. Provide Index Name and hit Ok button like below. 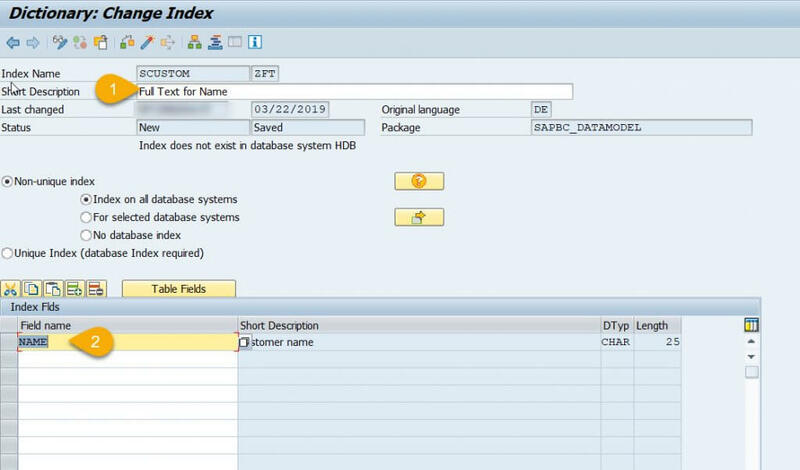 As we know that Full Text Index is only supported for SAP HANA databases, we have to provide some database specific settings. 5. Now choose Goto option in the menu bar and choose Full Text Index from the context menu like below. 6. Finally, tick Full Text Index check-box and hit Copy button. 7. Save and activate the index. 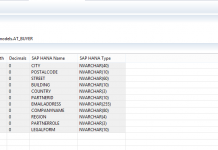 Upon successful activation full-text index is create successfully in ABAP for HANA databases. Congrats!! 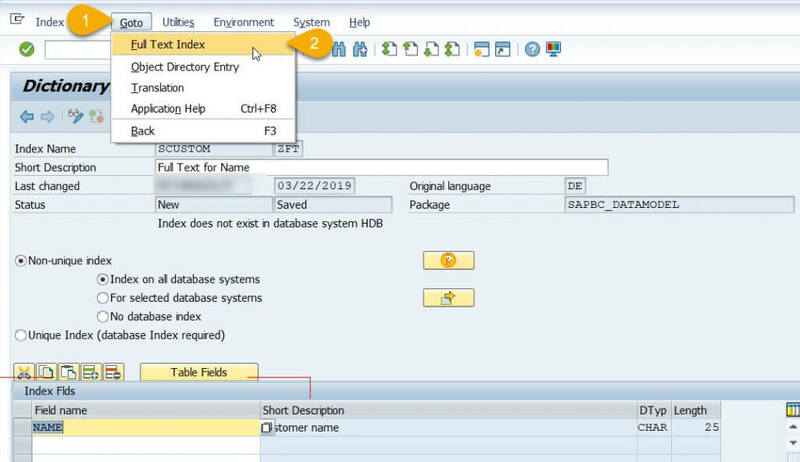 you have successfully learned the steps on how to create Full Text Index in ABAP for SAP HANA DB.